Thank you Brokelyn for naming us one of the 10 best podcasts in NYC! Sally, generally a very risk averse person, was pressured into white water rafting. It turns out there’s a reason Sally should not go white water rafting. Then Tyler joins The Bartender to talk about an unexpected adventure that ended in a skydiving trip. The skydiving wasn’t nearly as exciting as what happened a few hours before. 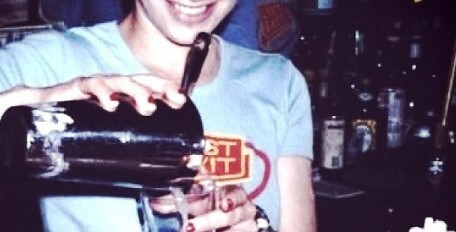 THANK YOU TO EVERYONE WHO GOT TELL THE BARTENDER FEATURED ON NPR’S EARBUD.FM! Like the show? Tip The Bartender! Or give it 5 stars! PLUS since everyone says her voice is soon soothing, if you tip The Bartender $10 or more she will send you a personal audio message of a bedtime story of your choosing (you supply the text). Tyler would like to stay anonymous so he can continue to have adventures and stories. This entry was posted in Uncategorized and tagged Janeane Garofalo, Katharine Heller, Podcast, sally tamarkin, Stories, struggle bus, Struggle Bus Live, Ted Leo and the Pharmacists, Tell the Bartender on January 19, 2016 by tellthebartender.